Baby to Big is a high concept board book that translates familiar objects and ideas from a baby's world to that of their hip millennial adult counterparts, through bold, iconic images. Baby to Big humorously compares the perspectives of babies and adults through vibrant illustrations. 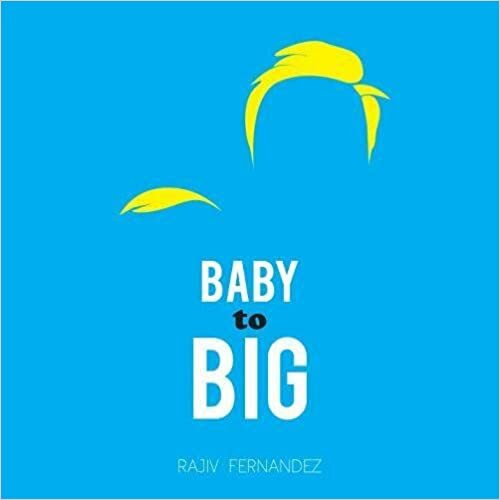 After creating a book of pictograms for his toddler nephew, designer and architect Rajiv Fernandez developed an idea of using iconic images to translate concepts between kids and grown ups. Coupling his trademark graphic style with his love for puns, Baby to Big takes cues from the millennial lexicon and pop culture to unite hip parents with growing little minds. Rajiv Fernandez is the founder of Lil' Icon, a design company to make you think...and wink. Combining humor, culture and iconographic imagery, much of Fernandez's work is inspired by his background. Ethnically Indian, born and raised in Iowa and Nebraska with a Hispanic last name, Rajiv was raised to embrace a diverse perspective. He's lived around the world, from Buenos Aires to Bangalore to Brooklyn, where he currently resides. Trained as an architect, his design work ranges from bars to books, the cleverly cute to politically provocative, and has been featured in the Wall Street Journal, Huff Post and Publishers Weekly. His first book Baby to Brooklyn debuted in 2017, and it has received consistent 5-star reviews from his lil' nephew! Cassandra's Review- My first thought was this is not for young kids. I am pretty sure this is for adults as a silly book that does compare old and new concepts. I would never introduce this to a child on purpose, but some parents might think it is hip or relevant.